Claim a coupon by mail for one (1) FREE 8-PACK of Sparkling Arrowhead Mountain Spring Water. 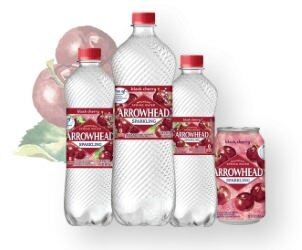 Follow the link below to enter the site and complete the request form to receive a free 8-pack of Sparkling Arrowhead Mountain Spring Water. Available in California, Washington, Idaho, Oregon, Montana, Wyoming, Colorado, Utah, Arizona, New Mexico, Nevada, Alaska and Hawaii. If not from these states, it may forward you to a page that has the same offer with a regionally-appropriate brand.